Taking the most practical elements of Media Studies, Film Studies is a very popular course with our most vocational students. At Key Stage 5, Students make Movies and marketing campaigns as well as create semiotic readings of their favourite films. They can also create music videos and magazine articles for their own creations. Key Stage 4 is structured the same, but without the heavier reliance on written work. As a GCSE option, students create a two minute section of a film they design after they have researched their chosen genre and storyboarded their work. They create a critical analysis of their work as well as annotating work that has inspired them. Their work is of an exceptional quality and can be seen proudly displayed around the King John School. Film studies is the study of film as an art form, learning to appreciate this medium not only through its technical production but also by understanding how to interpret the wider meanings and messages that they hold. It is an exciting course that will allow you to study a range of films and gain an insight into the wider industry. You will study the language of film, performance, cinematography, editing and sound and see how they construct meaning and provoke audience response. You will engage in debates around technology and the issues facing independent cinema, seeing a range of perspectives. Working with industry leading equipment and editing packages will provide practical experience, allowing you to create a professional portfolio of work to carry forward to university or employment. What can you expect from Film Studies? 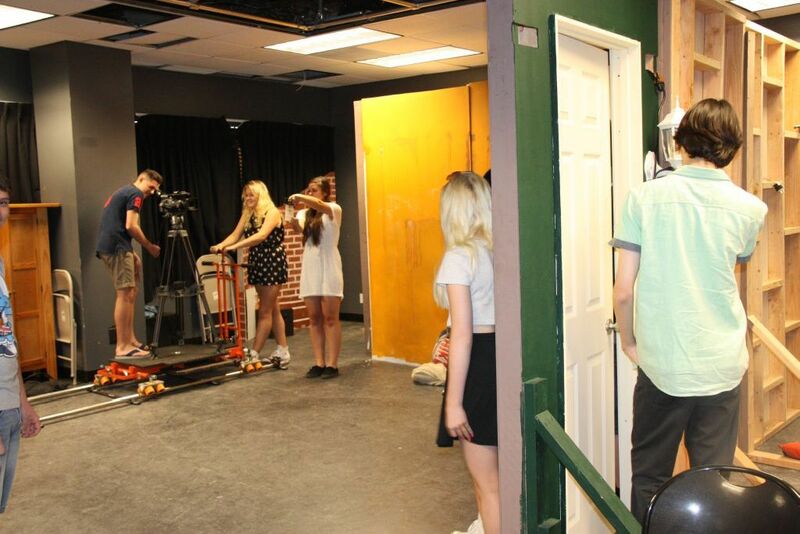 Film studies offers a lively and challenging insight into the film industry. You will be expected to participate in debates and be open to exploring both independent and international cinema. You are expected to analyse key texts, and then write about them in your exam to demonstrate creativity with your practical productions. The film studies course is assessed via a combination of coursework and exams. If you have a willingness to learn, an interest in the development and production of films and are passionate about developing your knowledge of the film industry this is the subject for you. The department also offers a trip to Hollywood, California every year where pupils get taken on VIP tours of the major studios (Warner Bros, Sony and Universal) as well as work with film cameras at the NY Film Academy.